of fans. Some EQ work was necessary to made the sound a bit brighter, since the recording was made from the back of the room. Overall not a bad recording to have. 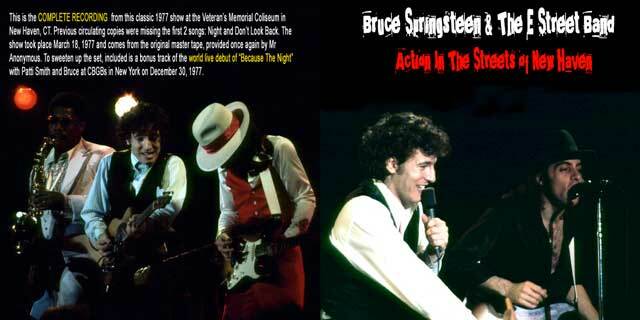 To sweeten up the set, included is a bonus track of the world live debut of Because The Night with Patti Smith and Bruce at CBGBs in New York on December 30, 1977. 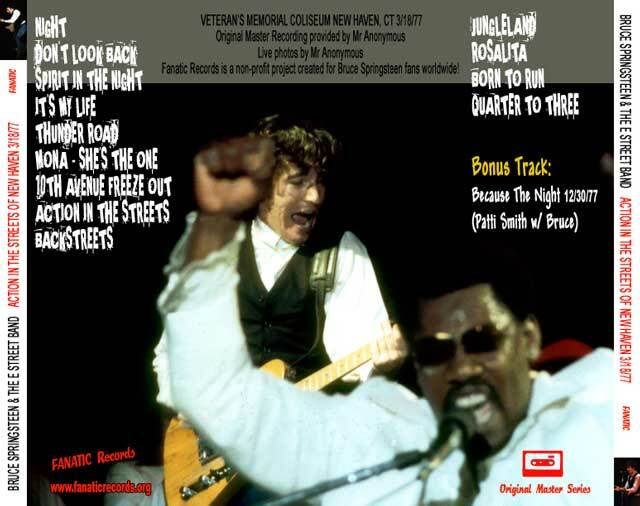 Fanatic Records in association with Mr Anonymous is proud to share this original master recording with Bruce Springsteen fans worldwide! This entry was posted in 1977, audio, bootleg, born to run, springsteen and tagged 1977, bootleg, born to run, springsteen by Tsitalia. Bookmark the permalink.